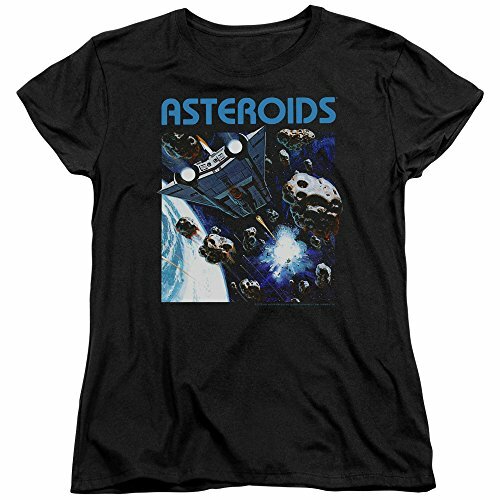 Celebrate the iconic early 80s space shooter video game Asteroids, with one of these stylish T-shirts. 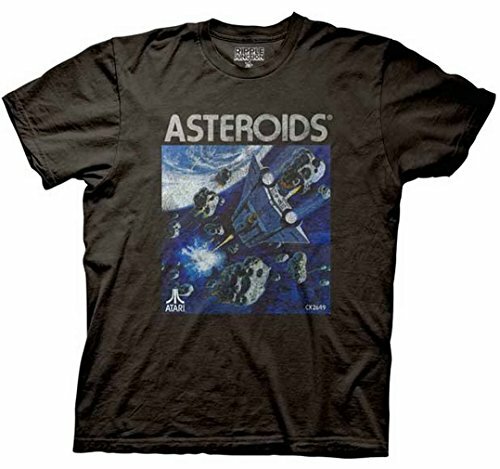 Due to the strict copyright laws concerning Atari games and their artwork, the range of Asteroids T-shirts is limited. 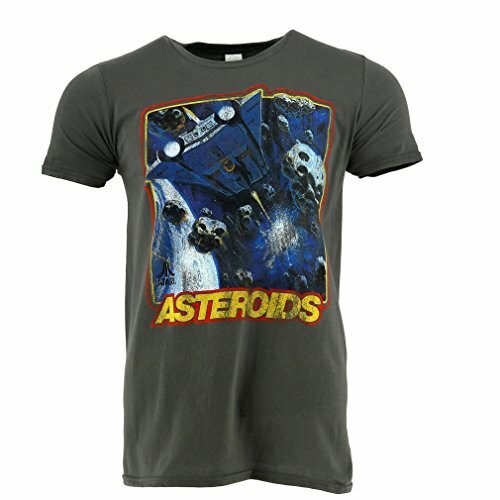 Nonetheless, I have managed to find a few decent tees (some from Atari's official store on Amazon) and you can see these below. 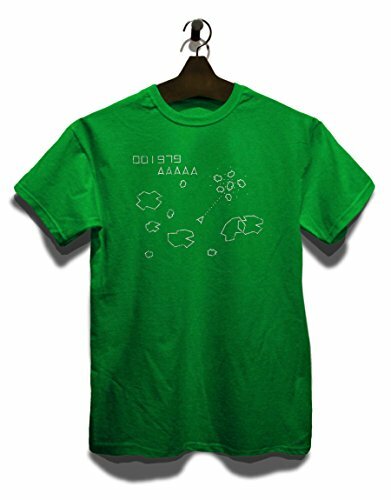 Simplyeighties.com is a participant in the Amazon Associates and ebay affiliate advertsing programs. This enables us to earn fees from linking to products on their websites.